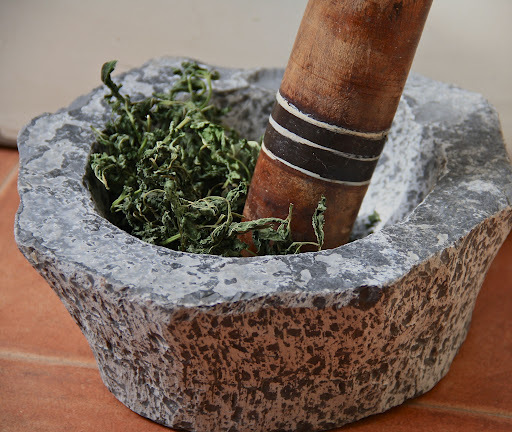 What do you do when a Herb strategizes to take over your house? I was in such a situation lately. ‘Attack of the Mints’ is what the kids called it. 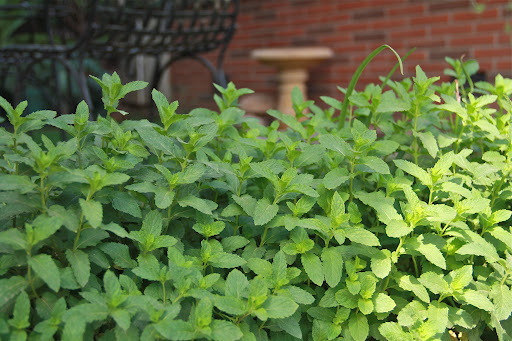 I had Mint growing in the front lawn, and the back lawn and in some odd pots here and there. Never realized how they had slowly made their way into swamping the whole garden!So, it was me to the rescue. Chop and Snip went the gardening scissors. Here’s what came out of the warfare of a refreshingly minty kind. 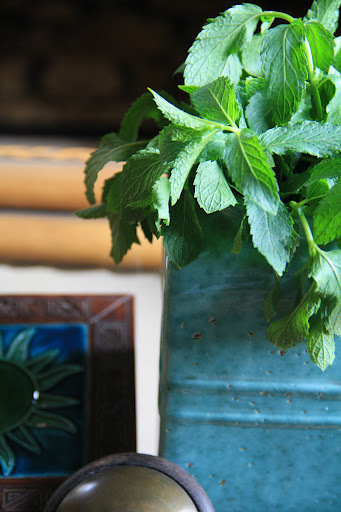 Tactic 1 : Mint-Fresh Decor.Literally. 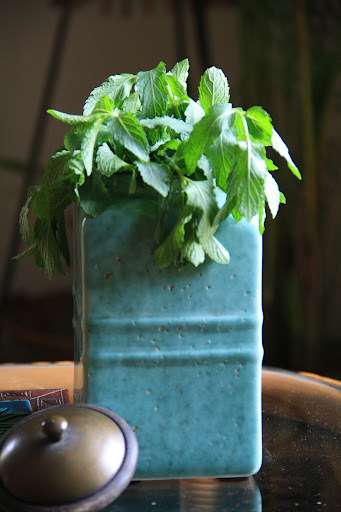 And then those gorgeous mint sprigs got spritzed with a lemon-water spray. The room was such a citrus-mint delight , I swear I was almost drunk on that refreshing aroma. Decor for a Lemonade and Cookie morning with friends! Tactic 2 : Pound out the Healthy, Glorious Goodness! 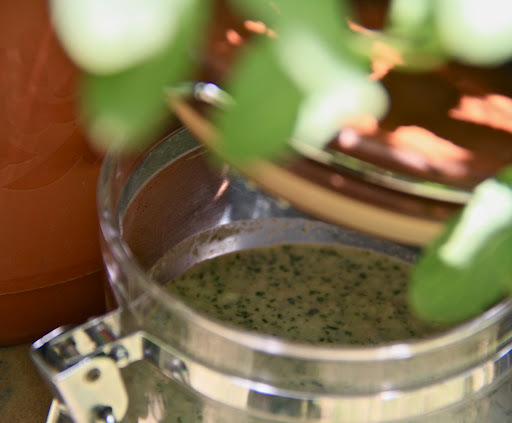 So I sun-dried a bunch of mint sprigs for 2-3 days and then just ground them into a mint powder that can be stored and is ready for use anytime – in salads, curries, lemonades, raitas , paranthas ..the list goes on. 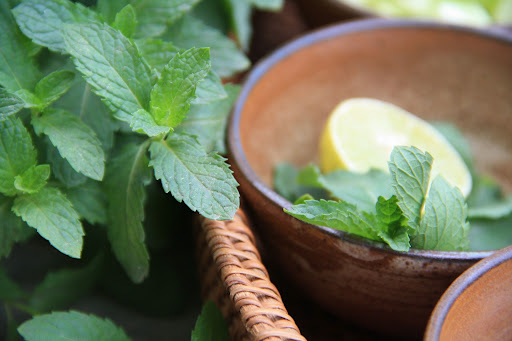 Mint is a great digestive aid and has a supremely cooling effect. 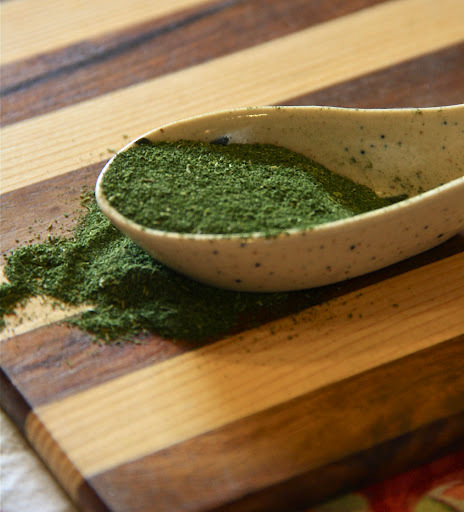 Fresh, home-made Mint powder – a spoonful of good health! Post the recent camping trip that exposed me to some very strong sunlight at a high altitude, my sunburnt skin had been craving some cool. You know what happened next. I reckoned what was cooling within, would cool without. 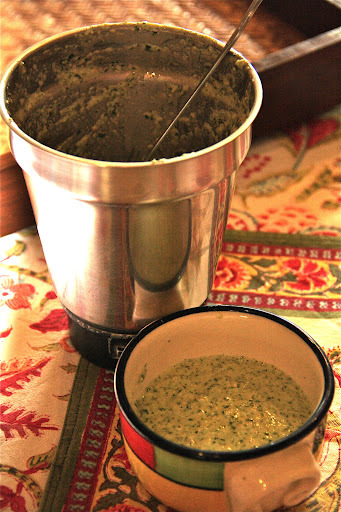 Here’s a delightfully refreshing Face -Pack to beat the summer heat. The pack’s great for oily skin and left my skin very smooth,cool and supple.Its also a great cleanser ,toner and anti-blemish. Just blend that fresh goodness together. 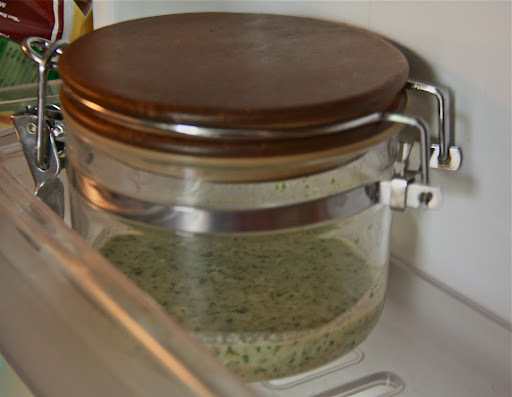 I made a slightly larger batch that’s going into the refrigerator, so that I can use it every now and then over the next week. So, what do I do with the rest of the mint? 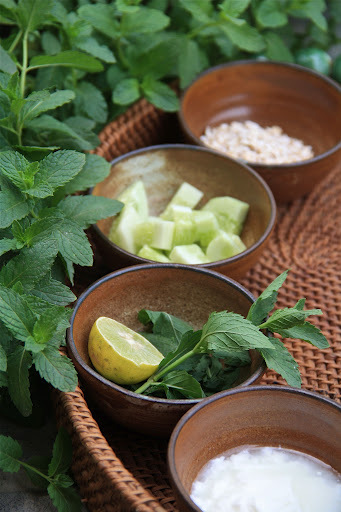 Mint Salad, Mint-Iced Tea..the clock’s ticking on that mint in the garden. Really enjoyed the photographs and the writing! Looks absolutely yummy!!! And I can almost smell it here in Pune!